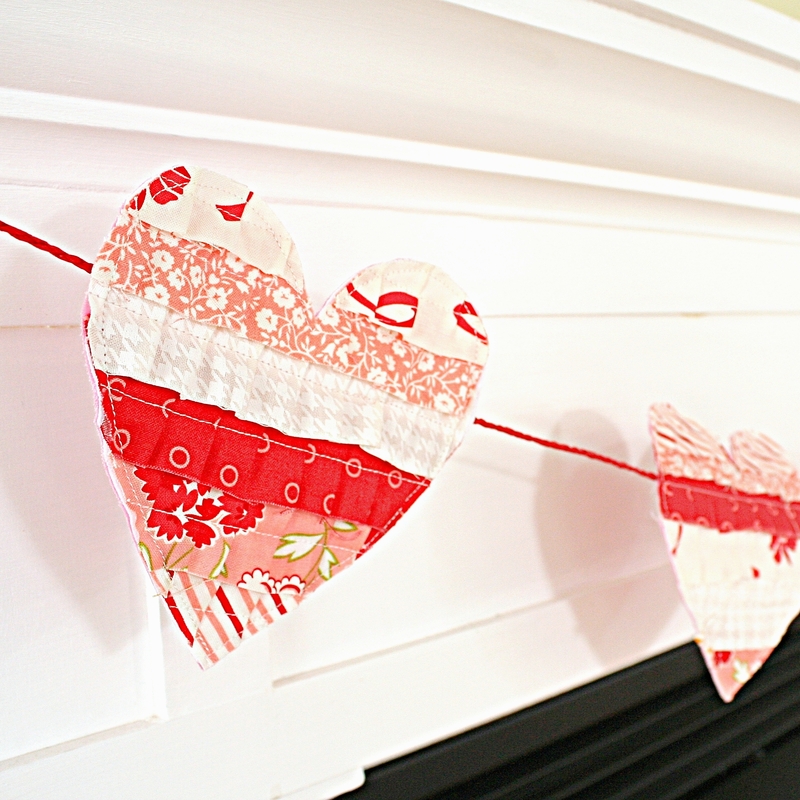 Decorate your home with our adorable 7-piece Heart Bunting featuring bright modern vintage fabrics. 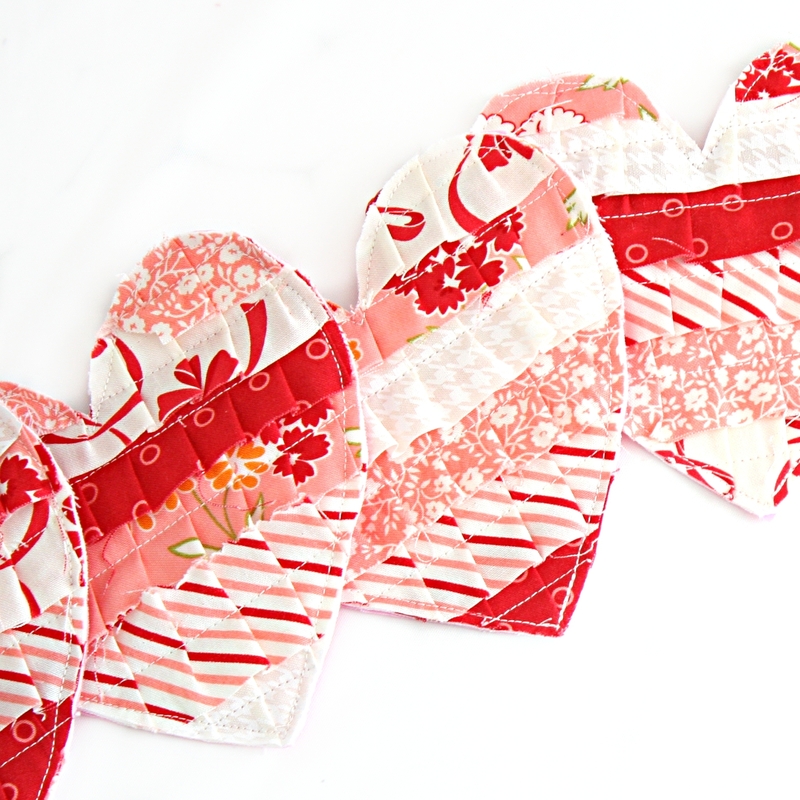 Decorate your home with our adorable 7-piece Heart Bunting featuring the modern vintage fabrics designed by Bonnie & Camille for Moda. 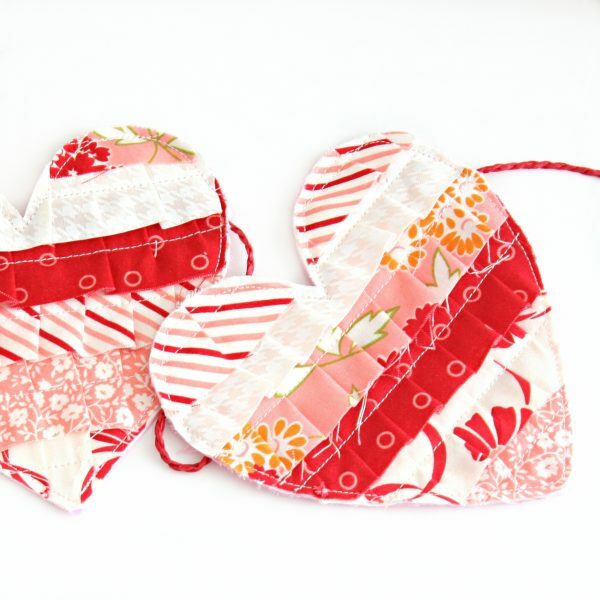 Each heart measures 5″ x 5″ with pockets on the back for the string, making them adjustable. The supplied string is 9 feet long. 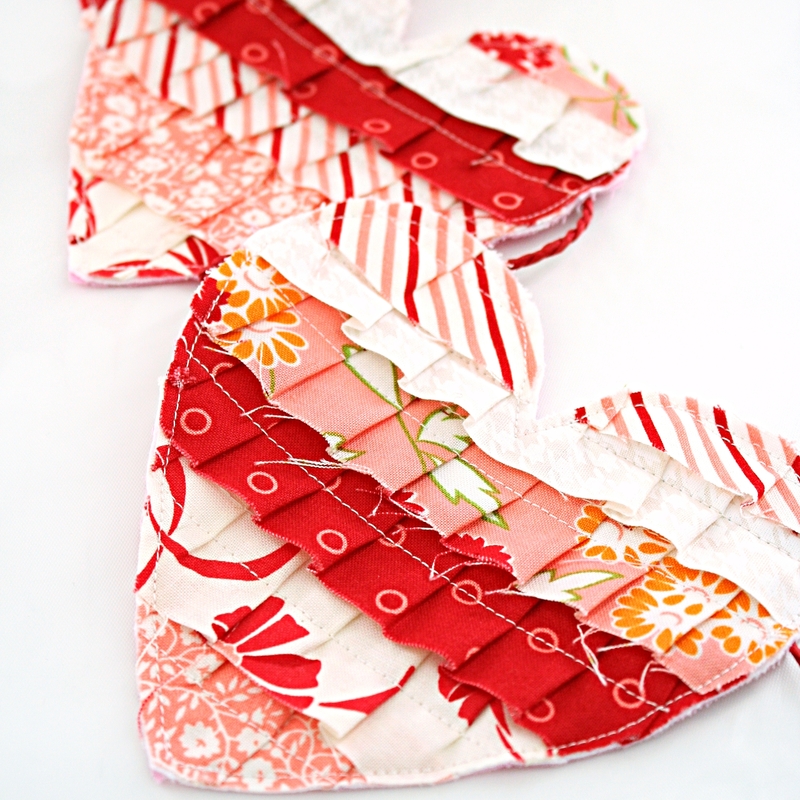 Each heart “sandwich” consists of backing, batting, lining, and five ruffled coordinated strips. The outline is machine stitched with 100% cotton thread. 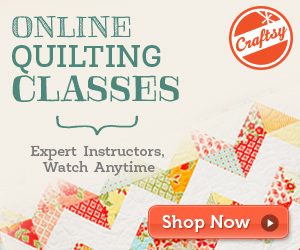 All fabrics, batting, and thread are 100% cotton. Each heart is individually handcrafted in my smoke-free and pet-free studio. No two hearts are alike! If you like this pattern but would prefer a different color scheme or fabric collection, please contact me. The price will remain the same. Please contact me with your city and country information for an accurate shipping quote.